It's a known fact that highly interactive and immersive eLearning courses are far more effective than those that are static or solely content-driven. It's true that the eLearning content is the star of the show. However, creating an eLearning experience that encourages learners to play a pivotal role in their own learning process is paramount, and one-dimensional eLearning courses simply are not enough. One way to boost the interactivity of any eLearning course is to integrate avatars, which guide, narrate, assess, and engage online learners. Research beforehand to design the ideal avatar for your audience. It's always wise to spend time researching the type of avatar or avatars you will be using in your eLearning course before you enter the development stage. Get feedback from your audience through surveys or interviews in order to determine how your avatar should look, speak, and even which character traits it should possess. Remember, in many respects the avatar can serve as a virtual instructor. As such, you should ultimately design one that motivates and interests the learners, rather than a one-dimensional character that doesn't appeal to your target audience. Use avatars to guide learners through the module. Why not use avatars to guide your learners through the eLearning course, so that they can more effectively acquire and retain the necessary information or skill sets. For example, you can place the avatar at the beginning of each section of the lesson in order to inform your learners about the key skills or concepts that they'll learn in the upcoming pages. Highlight important aspects of the eLearning course/ module. Avatars are ideal tools for eLearning courses that may have a variety of concepts or ideas involved, given that you can use them to draw the learners' attention to highlights of the eLearning course/ module. Place the avatar with a speech bubble or even audio narration on pages that review a particular section or concentrate on an idea that may be more complex. Doing so, makes the core aspects of the eLearning course/module more digestible, and appeals to a broader range of learning styles. Ask questions to assess learners’ knowledge. Use avatars to assess learners’ knowledge throughout the eLearning course and to help them more effectively retain the information being offered. Include questions every so often along the way to draw their attention to key bits of knowledge that may be important and to keep the concepts fresh in their minds. You can also create more in depth exams or quizzes at the end of the eLearning course or eLearning module with an avatar moderator, in order to make the assessments more interactive and entertaining. Avatars should be a good blend of creativity and realism. One of the most important things to keep in mind when using avatars in eLearning is that they should be both creative and realistic at the same time. For example, if you are using an animated avatar that is somewhat comical, it should still have realistic personality traits so that it has an air of credibility and authority. Avatar should offer advice and helpful tips. Utilize eLearning avatars to offer learners advice, insight, or invaluable tips that will help them to complete the eLearning module and to take more away from the overall eLearning experience. For example, if you're explaining a complex task that involves multiple steps, allow the avatar to give them tips along the way that will make the process easier to remember. This will lead to improved overall performance, due to the fact that learners have been given tips and tricks to carry out the task more efficiently and effectively. Use more than one avatar to represent different roles. You aren't limited to use just one avatar in an eLearning course. In fact, you could use multiple avatars in order to play different roles. You can use one avatar to serve as the narrator, and another to offer advice about the lesson or to quiz the learners. You can also create scenarios at the beginning of the module that include many different avatars, and then utilize those avatars throughout the rest of the eLearning course to help the learners tie core concepts or ideas to real life benefits or applications. Use a tone that is both conversational and authoritative. Your avatars should be conversational and friendly, but still retain a more authoritative tone. Keep in mind that they are there to serve as a helpful guide, so they must be a good blend of personable and professional. If the tone is too professional the learner simply won't find the avatar motivational or interesting. On the other hand, if the tone is too personable, then it can lack credibility. Always make the avatars relatable and relevant. 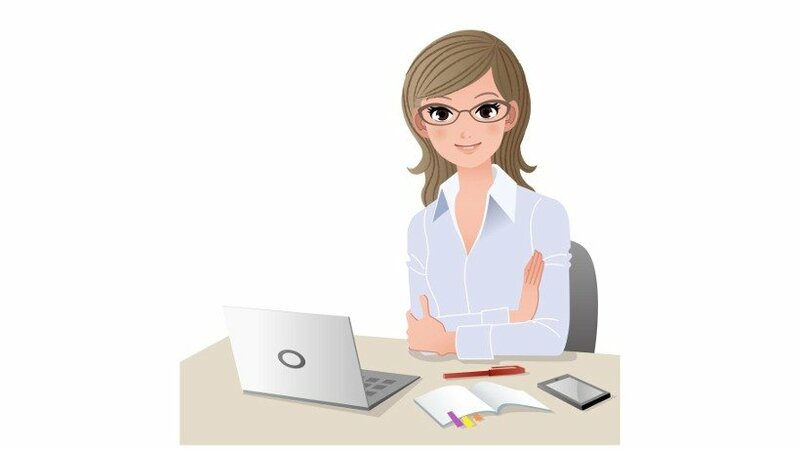 The persona you give your eLearning avatars must be relatable and also relevant to the learner. In other words, the learners should feel as though they have some sort of connection with the avatar, and that the character is relevant to the topic and the overall eLearning course. For instance, if you are designing an eLearning course that's geared toward corporate professionals, you won't want to include an avatar that uses an abundance of slang phrases and wears extremely casual attire. Avatars should enhance the subject matter, not overshadow it. Above all else, one of the most important eLearning avatar tips that I can offer is to avoid designing an avatar that steals the spotlight. The avatar should serve to enhance the subject matter and guide the learners through the learning process, not distract them from the overall learning goals and objectives. Avatars not only make eLearning courses more exciting and entertaining, but they also help learners to increase knowledge retention and absorption. So why not start incorporating avatars into your eLearning deliverables in order to offer your learners the opportunity to get more from their online learning experience.